Mole loves to label things. Anything. Everything. One day, he finds something unusual. It's lumpy, it's bumpy, it's knobbly, mysterious, tough, gigantic and — after it yawns, revealing an impressive set of teeth — quite possibly dangerous! But as fast as Mole tries to flee the Lumpy-Bumpy Thing, it follows. In fact, it seems to like him. And as it follows him, it gathers up and eats all of Mole's labels. Until eventually, Mole writes one last label that makes both of them rather happy. This is an adorable story that will entertain while also showing young kids that things aren't always what they seem, and that pre-emptively 'labelling' or judging things can sometimes lead to missing out on opportunity. Tim Warnes is an award-winning author/illustrator with a deft touch when it comes to engaging young minds. 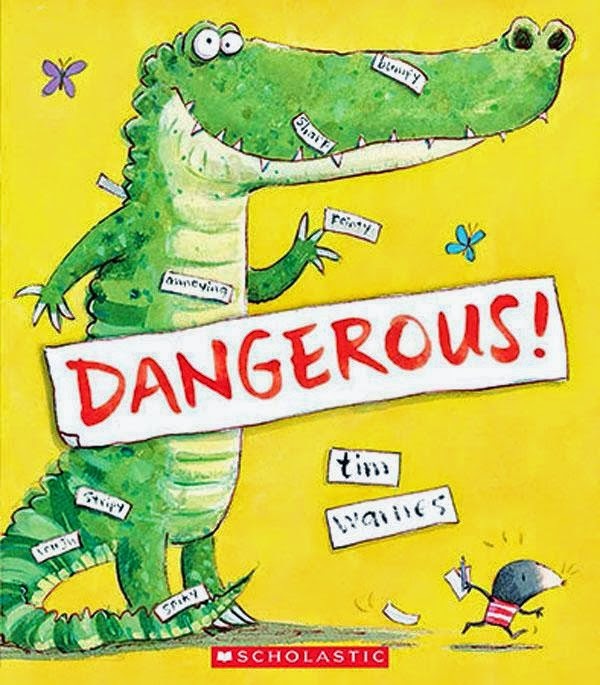 Dangerous is a fun read with a good message.